Today ADP Employment change, the PMI data and the oil inventory data will be released from the US. 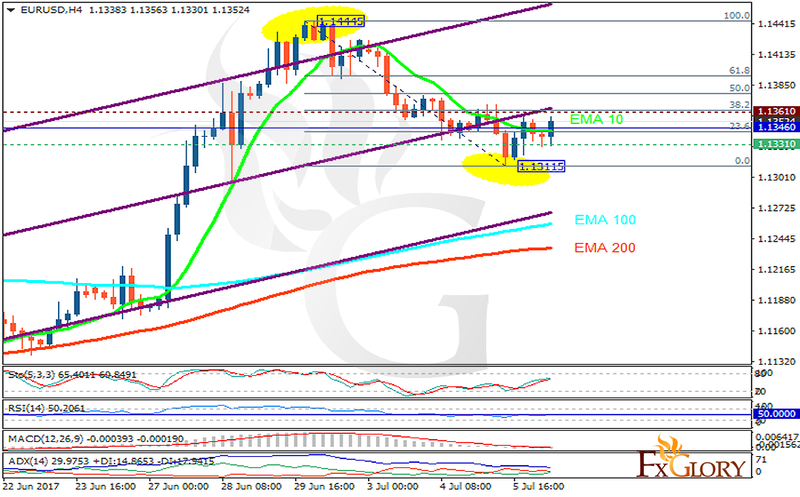 The support rests at 1.13310 with resistance at 1.13610 which the weekly pivot point at 1.13460 is located in between the lines. The EMA of 10 is moving horizontally but it is above the EMA of 200 and the EMA of 100. The RSI is moving horizontally on the 50 level, the Stochastic is showing upward momentum and the MACD indicator is in neutral territory. The ADX is not showing any clear signals. The 1.133 level of support is too strong therefore the price will rise towards the 61.8 level of Fibonacci.